The main drivers of the jaw joint complex are the muscles. The teeth, joint, bones and even the muscles themselves are all providing feedback to the brain. This enables the brain to co-ordinate or, if you like, conducts the orchestra of anatomy to achieve its goal – mastication or chewing. However, as humans, we like to do things that upset this amazing performance. The brunt of the issues affects the muscles. Muscles throughout the body work in teams. Simply, one group of muscles contract while another group relaxes. When this does not happen we often call it terms such “a cramp”, “stiffness”, “pain”, can’t walk properly, and even “can’t open my mouth”. In the muscles of mastication the closing muscles are far stronger than the opening muscles.They need to be as they pulverise the food so that it can be digested properly and be easy to swallow. The opening muscles are far weaker in the forces they generate. They are there to open the jaw to receive the food or drink, talk and even allow you to yawn! They also need to allow the closing muscles to relax and contract in the finer movements of chewing. Inflammation: Pain chemicals are released as part of the inflammatory process. 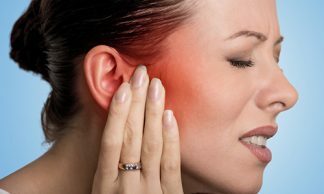 Some inflammatory situations include infections, ulcerations, swelling, allergic and chemical reactions, cancers, autoimmune diseases, surgery and so on. Bleeding: Any blood on a muscle is an irritant and can cause the muscle to spasm. 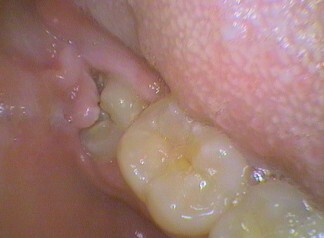 Sometimes this happens when a dental injection is given and a minor blood vessel is pierced. A person may have a bleeding disorder or medication that stops clotting such as aspirin, warfarin and so on. Trauma: This can be as a result of a blow to the muscle, or surgery near a muscle where part of the muscle is cut. Inflammation will also occur as well as bleeding, causing trismus. The trismus can be further exacerbated by trying to use the muscle normally. The muscle may tear and cause more inflammation, prolonging the situation! 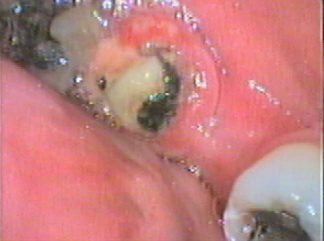 Overuse: This is often due to grinding of teeth when there is no food to eat. Often this occurs during sleep, but in some people, during the day. When a muscle works, a part of the chemical process to convert energy into muscle activity produces lactic acid. Lactic acid is, itself, an irritant to the muscle, if the blood flow does not carry it away quick enough. A protective appliance called an occlusal splint or repairing worn teeth by building up the bite may be needed.